This post is about why creditors should not only think twice, but three times before evening considering legal proceedings in Latin America or the Caribbean in order to enforce a claim. Commercial and consumer debts alike. Here are ten reasons why. In Latin America and the Caribbean, things can be slow. Really slow. Patience is essential. Give an amicable solution a chance, even if it can take (a lot) longer than what you would accept back home. And legal is not the solution if you want things to go faster – legal proceedings may even slow things further down, and can take forever (years). Socio-economic reality is for many people different in Latin America. Yes, in some countries like for example Brazil, Mexico, Colombia and Peru, economy has grown and continues growing. And yes, there is an ever growing middle class all over the continent, which means substantial groups of people have started to earn more money and thus have more spending power. However, the reality for the majority of the people is still: no access to proper education, difficulties finding a job, and jobs are generally not well paid. A large part of the population still has a lot less to spend than people in a comparable social class in Europe or North America. It means that payment plans are longer and monthly pay off installments may be (substantially) lower. Legal proceedings do not change this reality. Legal proceedings are generally expensive in Latin America and the Caribbean. Legal costs can increase substantially as legal proceedings go on. Often it is economically not worth it to go legal as costs and expenses can easily supersede whatever the claim is or what can eventually be collected. And if at the end of the road debtor cannot pay, the costs are for the creditor. An overall problem is the inefficiency of legal systems in Latin America and the Caribbean. It causes that legal procedures can take very long (years) before a verdict is reached, the outcome is often unpredictable, and requirements to (successfully) proceed may be unrealistic. For these reasons legal proceedings may require a considerable investment in terms of time and resources which may not justify what can eventually be collected. Many businesses and employees are active in the so called “informal economy”. Companies that are not or hardly officially registered, people that do business without invoicing or maintaining a proper administration, employees that receive salaries which officially do not exist. As for consumers, they may in practice not live where they are registered, or they are not registered at all. Registration at a chamber of commerce is often not mandatory, and / or registration is not up to date. It is virtually impossible to legally claim anything from a company or person that or whose business or salary does officially not exist. Several countries or regions within Latin America deal to a larger or lesser extent with political issues. Foreign trade-unfriendly regimes, social unrest, or safety issues, these may in practice all lead or contribute to a nonfunctional legal system and hence enforceability of claims in legal proceedings. There may be no possibility of enforcing anything legally at a local court because there is no court available or functioning, or there may be no bailiff who can or wants to execute an enforcement order if a verdict is obtained. 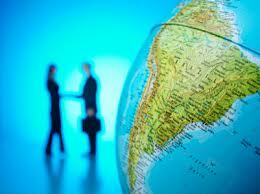 Often your business partners are probably based in the major cities, like Mexico City, Buenos Aires, or Sao Paulo. But what if your debtor is based in the countryside of Oaxaca? Or your debtor is a food production company based far inside the Amazons? Or the Andes? In reality it means that serious legal options may be as remote as the area your debtor is in. The infrastructure is simply not there. And no bailiff or lawyer would go there! Some of the countries in Latin America, like for example financial offshore centers, have laws protecting business information. This makes it very hard to assess whether it makes sense to go legal, if a company has any assets, who is actually running the company, and so forth. And essentially without knowing your debtor it might be too risky financially to start legal proceedings. If the debt was incurred outside the country debtor is residing in, and the nature of the debt (product or service, the corresponding paperwork, the language in which the contract or deal was closed, the socio-economic circumstances in which the debt came in to existence in the first place) is considerably different from the reality in debtor’s country, a local court may turn out to be incompetent – not in a position to rule. This means that effectively legal proceedings may not lead to any verdict at all. Some of the countries in Latin America and the Caribbean have strict requirements as to administration held, invoicing, and contracts to be able to legally enforce a claim. Sometimes, the lack of an official stamp on an invoice, or a certified follow up letter, means that an invoice is not officially recognized or may well be expired already by law, making legal proceedings practically impossible. Different speed, another socio-economic reality, high costs, inefficient legal systems, informal economies, political situation, remoteness, limited access to information, incompetent courts, and strict requirements for law suits are reasons for creditors to avoid legal proceedings to enforce claims in Latin America and the Caribbean as much as possible. Amicable collections are the way to go; negotiations where necessary, using leverage where possible, and always keeping in mind the balance between what can possibly be achieved and collected, and what would be the price one pays for that. This post represents the opinion of the author and is an attempt to give a general impression. Circumstances and reality may different substantially from country to country. If you are interested in learning more about amicable debt collection or legal proceedings in Latin America and the Caribbean please connect on Linked-In or follow me on Twitter.